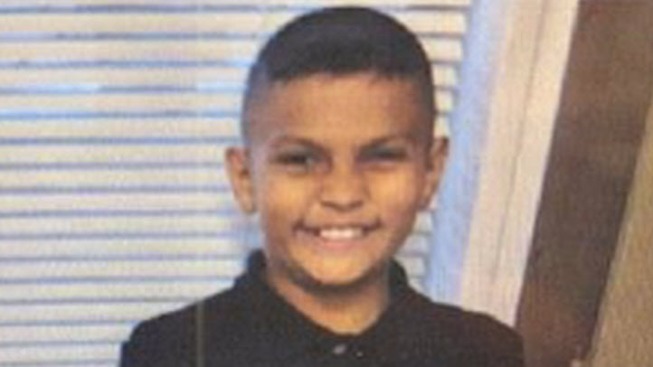 Update, 9:45 p.m.: The 10-year-old boy who went missing in San Jose was found safe. San Jose police seek help locating a missing 10-year-old boy, who is considered at-risk due to his age. Police say Elias Ramirez was last seen at 11:17 a.m. Thursday in the 1000 block of East Julian Street, near San Jose High School. He was headed east on Julian Street toward 24th Street. Elias is described as standing 4 foot 6 inches tall, 85 pounds, brown eyes, with dark brown and comb-over style hair. He was wearing a black T-shirt with black pants. Police said Elias was possibly last seen in the 1600 block of Shortridge Avenue, walking toward 34th Street. SJPD officials at around 8 p.m. reported police "just finished doing a search with a dog but the dog lost the scent." Anyone who locates Elias should call 911 or Detective Michelle Zanotto at 408-277-4786.